Abi the Snowpup is back!!! 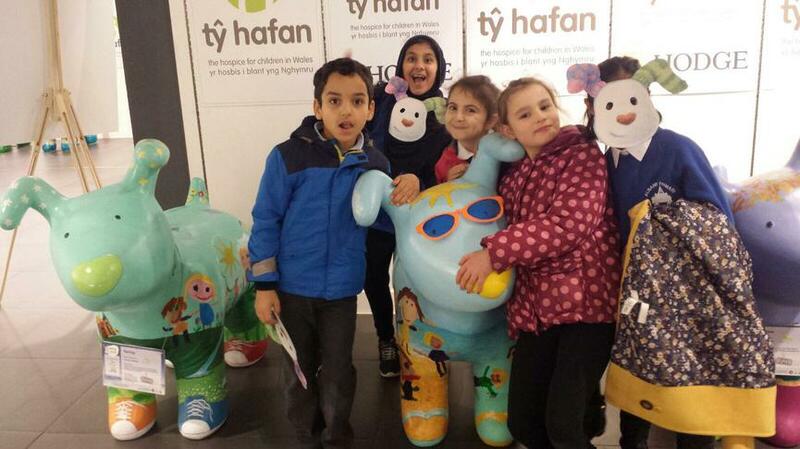 In the Summer term we decorated Abi our sponsored Snowpup and raised nearly £1000 for Ty Hafan. 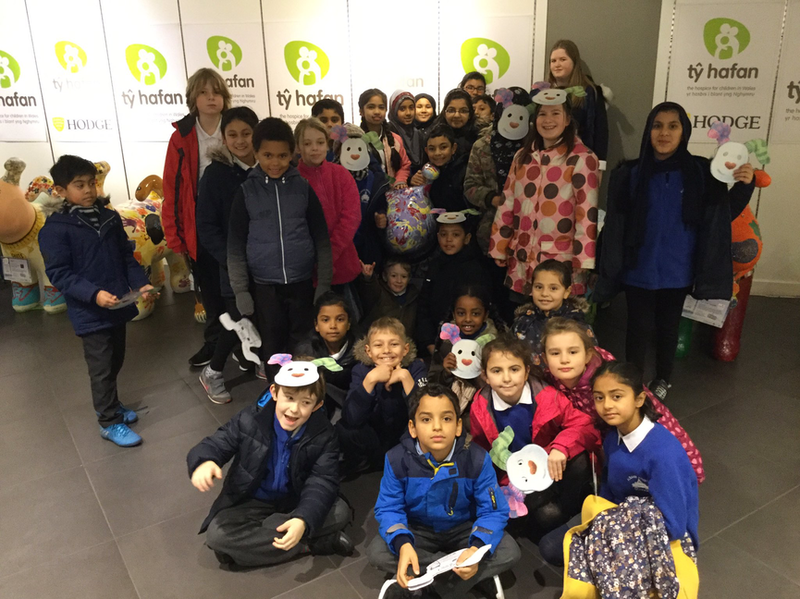 All fundraising activities were planned by our Snowpup Ambassadors. 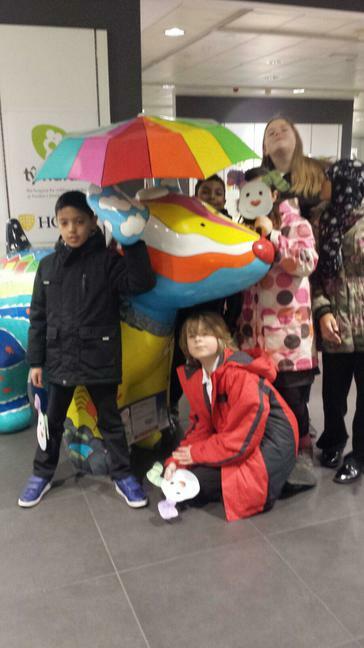 Abi was part of the official Snowdogs Tails in Wales trail from September to November of this year. Many of our pupils and their families went to visit her in the National Museum of Wales, the staff even popped in on an INSET Day. 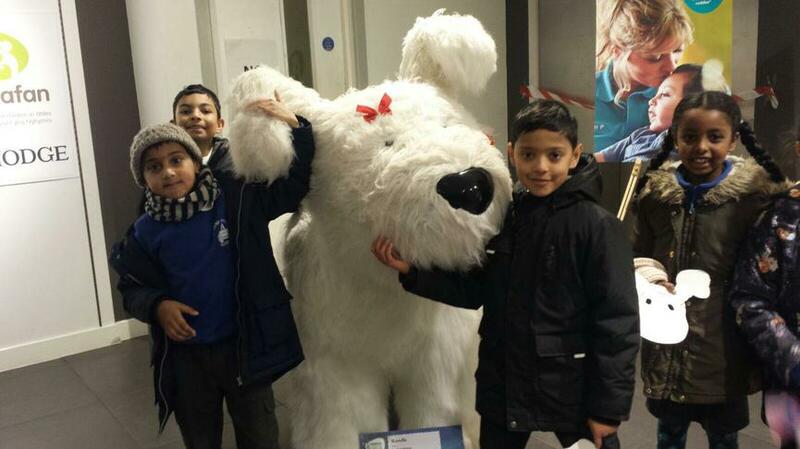 On 8th December some children visited the official Snowdog Farewell event in the Capitol Centre. 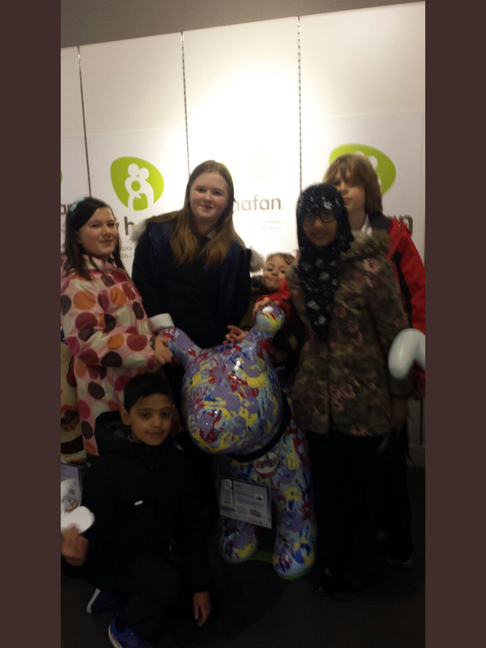 This was an opportunity to see all the Snowdogs and Snowpups in one place which we all enjoyed. 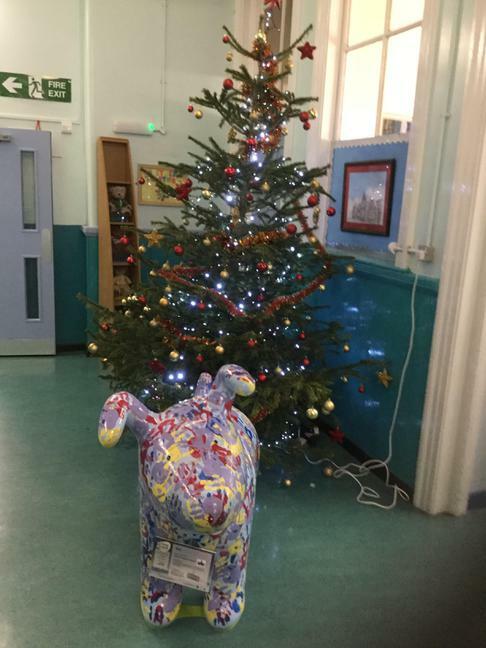 On Wednesday 13th December we collected Abi and brought her back to her permanent home at Albany Primary School. 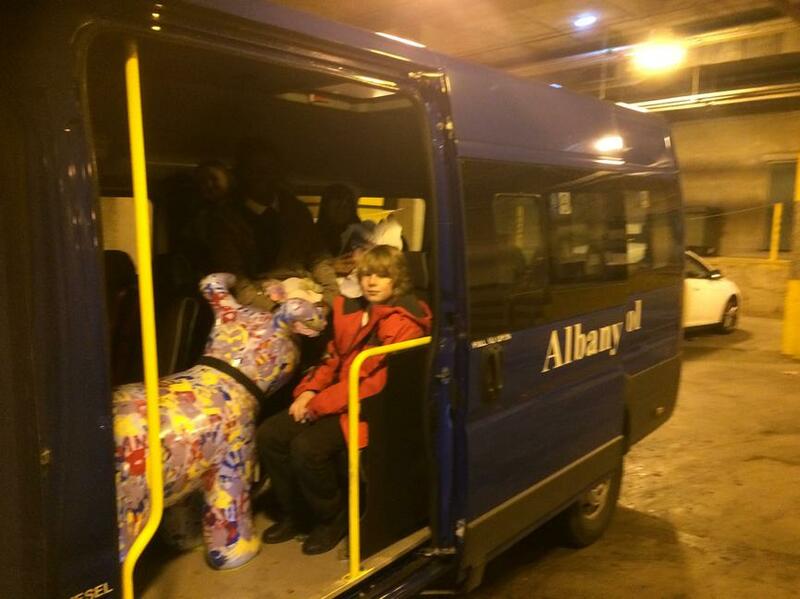 The children were delighted to see her back and she even received some special 'Albany Hugs' on arrival.